This vessel was thrown on the potter’s wheel and faceted after it was thrown. It was then fired in our soda kiln to cone 11. As the kiln reaches top temperature, about 2400 degrees, over the course of several hours we spray a mixture of baking soda and soda ash dissolved in water into thirteen separate ports of the kiln. 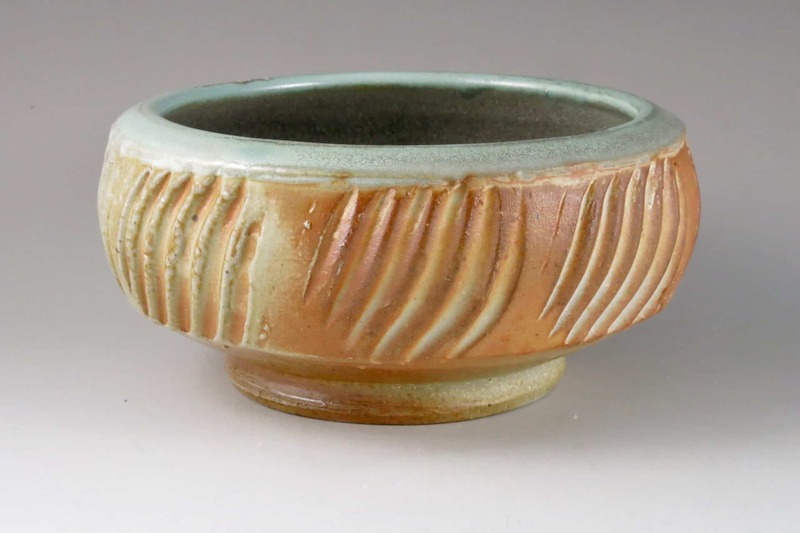 The outside of this pot is not glazed, so that the character of the clay and the effect of the atmosphere is very clear. It’s a really unique pot.